It’s a lighthouse I’ve previously visited and photographed on the Île de Sein …. 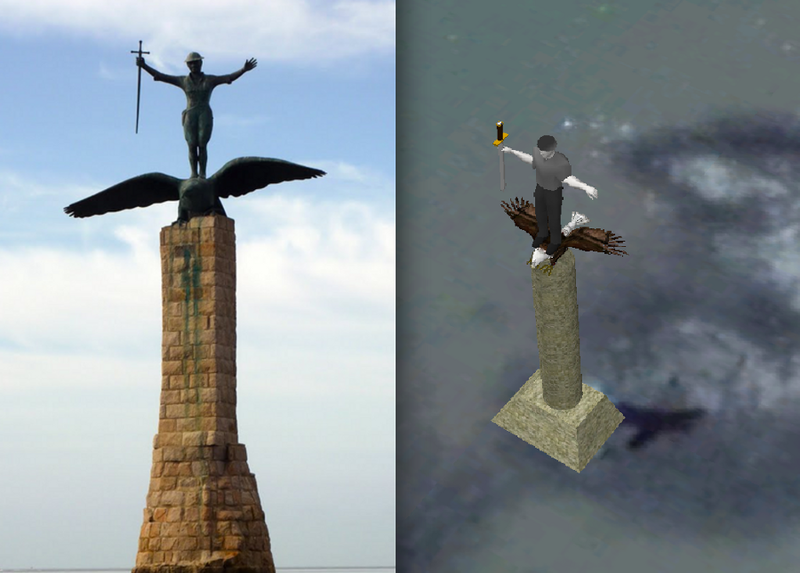 I decided to compare, and it was impressive a good 3D reproduction …. So I looked for more, Brittany is not short of lighthouses! Here is Créac’h on Île Ouessant (Ushant) not only is the lighthouse 3D but also the Coastguard Semaphore building. 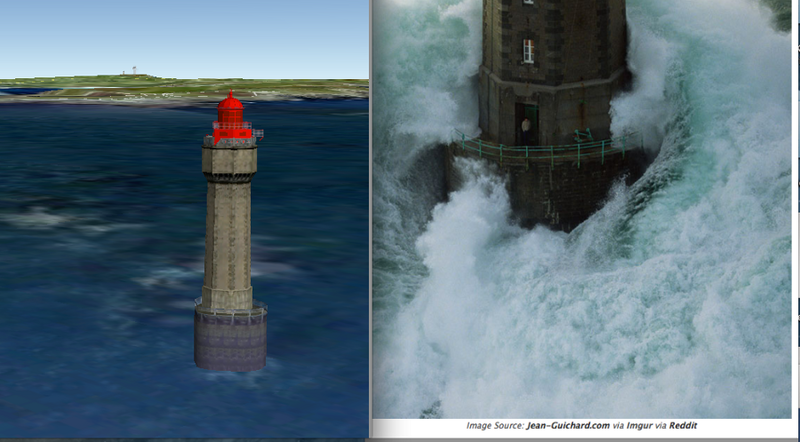 As I moved around the google maps 3D lighthouse, I smiled…. a clever touch the lighthouse keeper had been rendered in too ! then I started looking at the UK …. 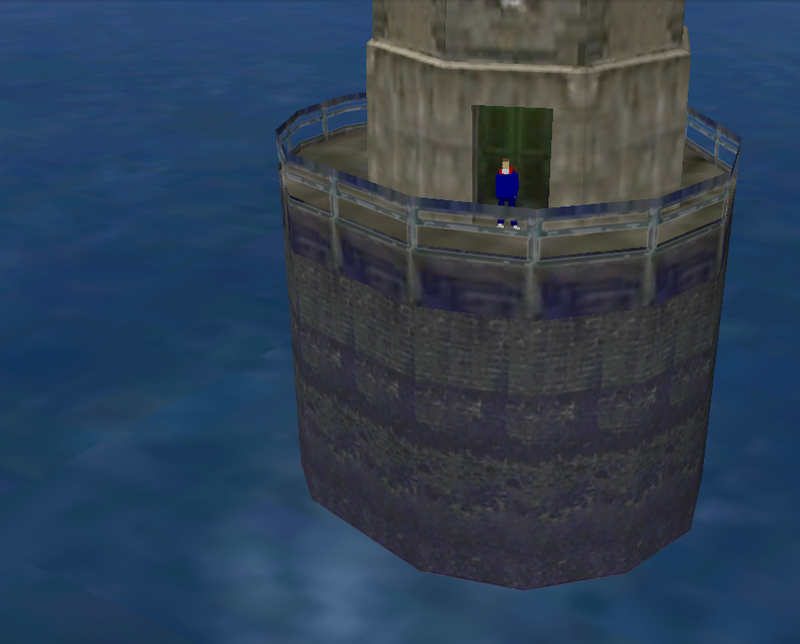 I found another man standing on the base of the Longships lighthouse. I wish you all many happy hours hunting the strange, the funny and the humerous.